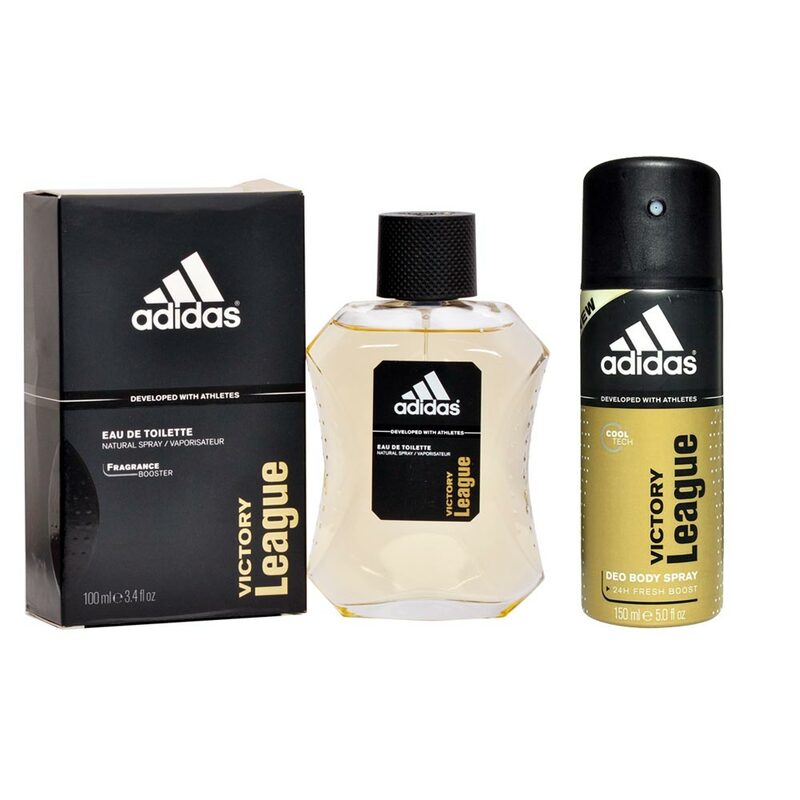 Adidas Adidas Victory League Perfume And Deodorant Combo Adidas is sporty fresh, with vibrant citrus scents accented by soft masculine woods. Top notes of grapefruit, lavender and mint lead into a black pepper, bamboo, and kiwi heart and a base composed of sandalwood, tonka bean, grey amber and vanilla. The unique fragrance booster technology ensures a long lasting performance! Product #: Regular price: Rs.898INR725(Sale ends 01 January ) Available from: DeoBazaar.com Condition: New In stock! Order now! Adidas is sporty fresh, with vibrant citrus scents accented by soft masculine woods. Top notes of grapefruit, lavender and mint lead into a black pepper, bamboo, and kiwi heart and a base composed of sandalwood, tonka bean, grey amber and vanilla. The unique fragrance booster technology ensures a long lasting performance!